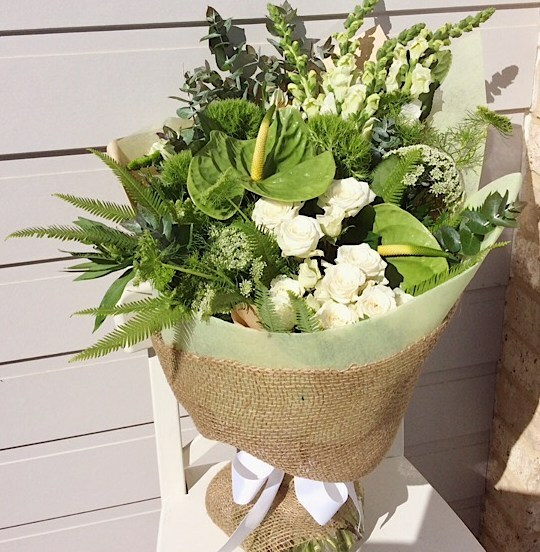 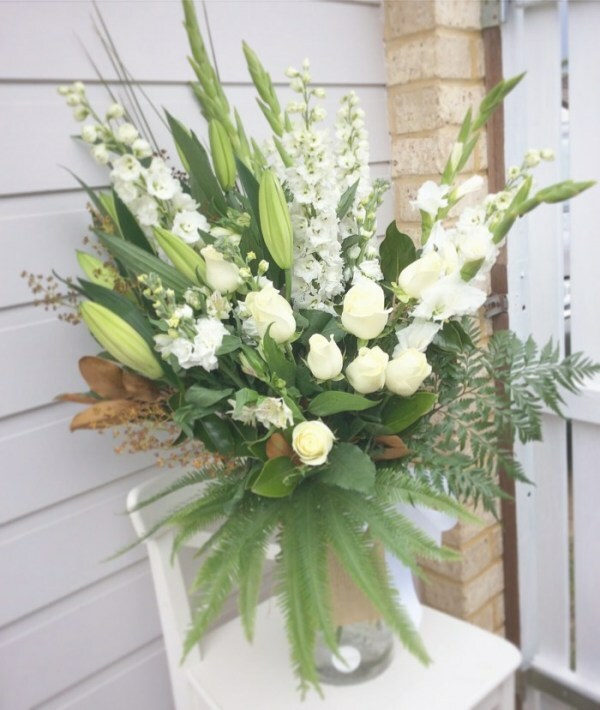 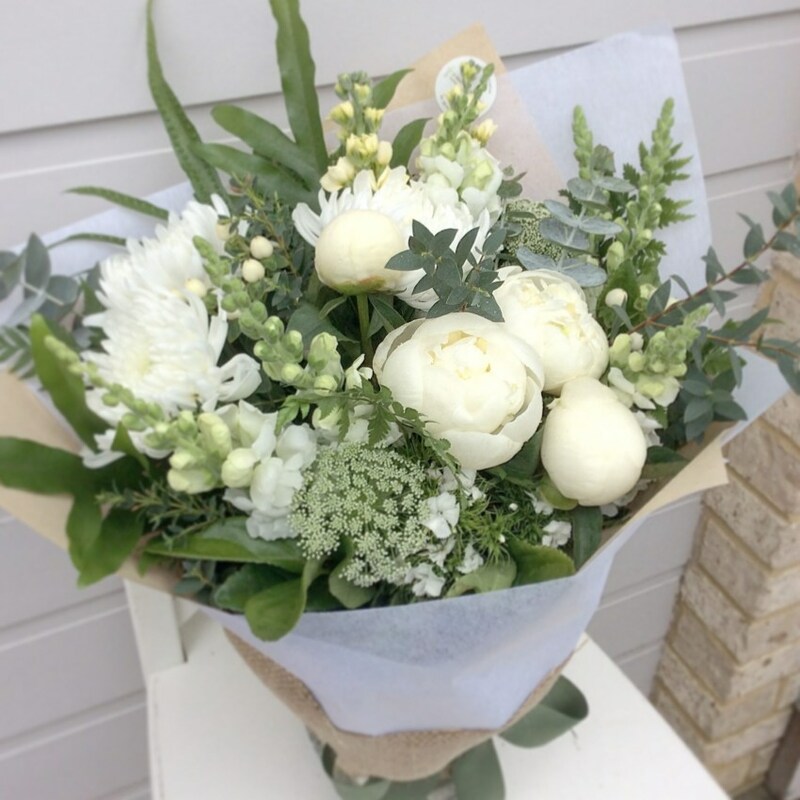 Let the florists choose the best of the days flowers for you in this elegant and classic hand-tied bouquet in white and green tones. 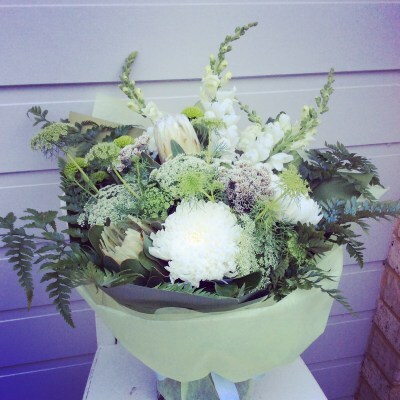 The flowers will vary with the seasons. 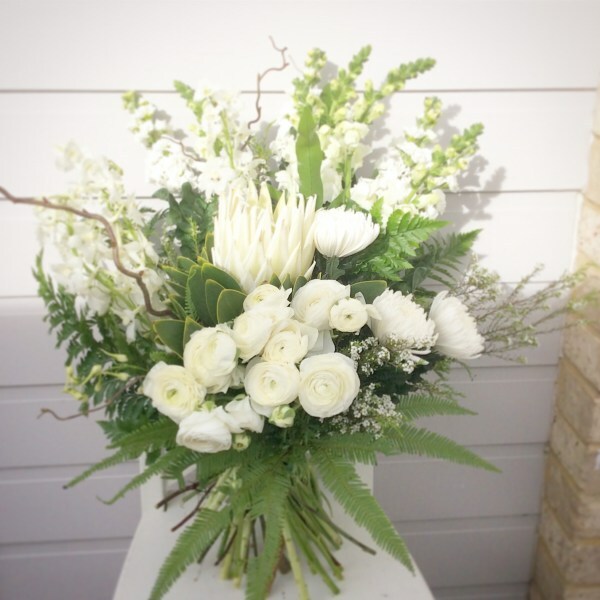 This bouquet is beautifully presented and made for someone to place in a vase at home or work.